How to Remove Date Stamp from Photo? Erase It in a Few Seconds with PhotoWorks! Went out to take some photos and forgot to disable the timestamp feature on your camera? Have a few old digital photos to share but they’re spoiled with the date caption? 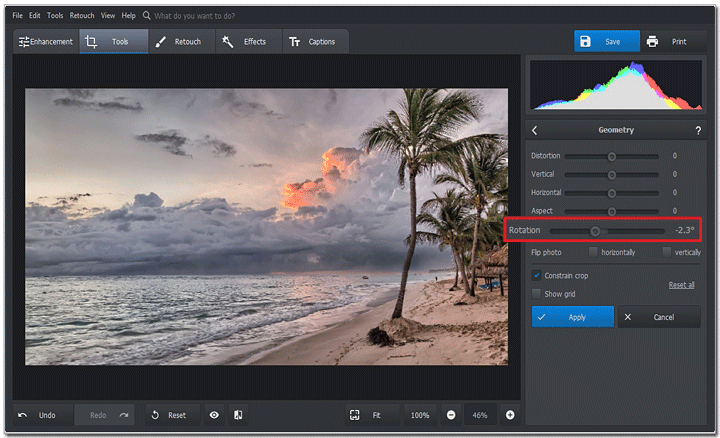 If that sounds familiar to you, then let’s see how to remove a date stamp from a photo. Yes, in some cases, the timestamp works great, like for photo management, but right until you want to print or share the marked pictures. If you start googling, you’ll find many stamp removers offering complex and cumbersome actions. Well, don’t get upset yet. Check out PhotoWorks - a user-friendly image editor and you will forget about other complicated programs for editing your pictures. PhotoWorks will not only remove dates from your images in a flash but help you do many other cool things like remove people from photos. In this guide, we will show you a quick way for deleting a stamp using Healing Brush in PhotoWorks. Run the program and open the image with the timestamp. Switch to Retouch and pick Healing Brush from the list. Set the brush size and paint over the photo to get rid of the timestamp. PhotoWorks will remove the unwanted object automatically using its secret intelligent algorithms. Click the Save icon to keep the result. Looks pretty easy, doesn’t it? 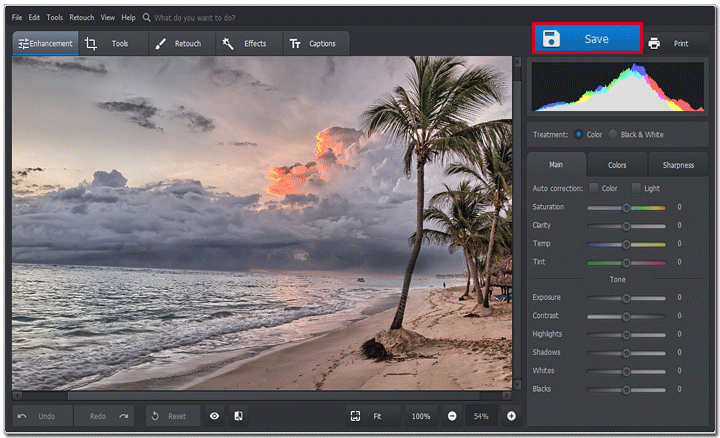 No tricky selections, layers or complex edits. 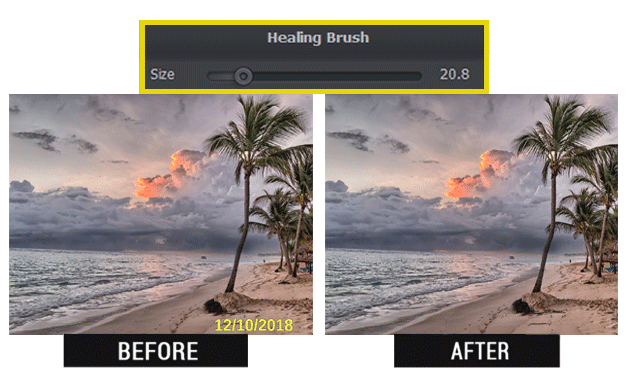 With Healing Brush, you will also be able to erase other objects from your photos. For example, check out our guide on how to remove watermarks from photos, where you will find various ideas and suggestions for Windows, Mac and online applications. If you take a closer look at our image, you’ll see that it definitely looks better now. However, it seems that the horizon on the photo is a bit tilted. Better to fix that too if we want the image to be perfect. Let’s do that right now. Here is the result. Looks way better, doesn’t it? Want to know how to do that? Check out the guide on how to straighten a picture and you will correct the composition in no time. In short, nothing complex: just enable the grid to see the distortion and drag the sliders to fix the tilted horizon. In our case, we used the Rotation slider to straighten the picture and then cropped it to remove the unnecessary parts. Together with removing date stamp from digital photos, PhotoWorks has many other cool features. New users will definitely fall in love with the automatic light and color correction, dozens of presets for one-click effects and quick retouching with Portrait Magic. Skilled photographers will enjoy working with tone mapping, curves and powerful tools like Adjustment Brush. As you can see, removing a date from pictures already taken is pretty easy. So don’t wait any longer and try it out with our own photos!